A major cycling race will give the city the opportunity to test out Broad Street for future events, a co-leader of the council has claimed. The OVO Energy Tour Services circuit for this year has been launched – and will take in Broad Street. The German transport ministry has been criticised after it created an advertising campaign promoting the wearing of bike helmets which some have claimed is “stupid and sexist”. An Aberdeen man is hoping to inspire others through sport – even after being diagnosed with a debilitating disease. A Special Olympics Great Britain cyclist has emulated her hero Sir Chris Hoy with a sixth World Games gold medal. The OVO Energy Tour Series, Britain’s leading domestic televised race series, will arrive Aberdeen in May for its third consecutive year. A north-east man is to take on a mammoth cycling challenge to raise money for charity. Sir Chris Hoy suspects both Jason and Laura Kenny will overtake the record he currently jointly holds as Britain’s most successful Olympian by the conclusion of next year’s Tokyo Games. North-east residents are being encouraged to cycle more as a government grant aims to spread electric bike use across the country. A blind group today slammed plans for a new Aberdeen cycle path, saying it will create a “no-go area” for people who suffer from sight problems. Tens of thousands of people would avoid life-threatening conditions if the increase in cycling in London was matched by other major cities, according to new research. People in the north-east have until Monday to comment on plans to create a "missing" cycle link. Aberdeen City Council has launched an online consultation on plans for the design of a new cycle link. Time is running out for the public to voice their opinion over improvements to cycling and walking facilities in Aberdeen. Staff at a north-east supermarket have taken on a cycling challenge as part of a nationwide children’s campaign. North-east councillors will be asked to give feedback on potential new transport and cycling routes when they meet tomorrow. A cycle group has bought two new textbooks for north-east councils – in the hope they will help improve infrastructure for cyclists. An Aberdeen cycling group is holding a protest to voice its frustration at what it says is “disregard for cyclists” by road planners. A world record-breaking cyclist is encouraging people to experience the new Aberdeen bypass from a unique perspective. Cyclists in the north-east are to be given a chance to cycle a section of the Aberdeen Bypass on their own bikes. 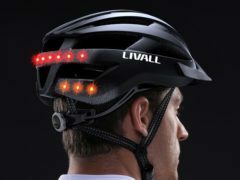 A smart bike helmet that automatically sends an emergency text message in the event of an accident has gone on sale in the UK for the first time. Cyclists have described an opening event for the AWPR as a “kick in the face”. A north-east charity has launched its annual fundraising cycle ride. A charity cycling and walking event is to return for its third year in a north-east village. A north-east man is to cycle 1,000 miles to raise funds for charity to mark the tenth anniversary of his mum’s death – despite not owning a bike this time last year. A scheme aiming to keep children active during the school summer holidays has been launched in Aberdeen. The family of a north-east man who died while carrying out a charity cycle spoke of their joy now they have fulfilled a vow to finish the ride in his place. North-east local authorities have been awarded more than £390,000 in funding to improve travel links. The state of Britain’s roads is stopping more people from cycling, a survey has suggested.